Life can get busy, and it’s easy to forget to take care of WordPress updates, backups or other tasks involved in running a website. Allowing this to happen could compromise the security and performance of your sites. No worries though, because ManageWP is here to help! You also have full control over the delivery frequency – you can specify daily, weekly, or no notifications. 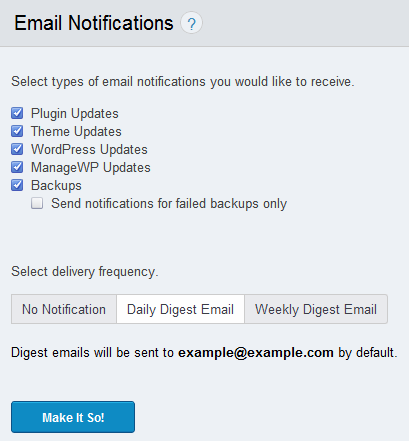 To set up a notification navigate to Monitor > Email Notifications. 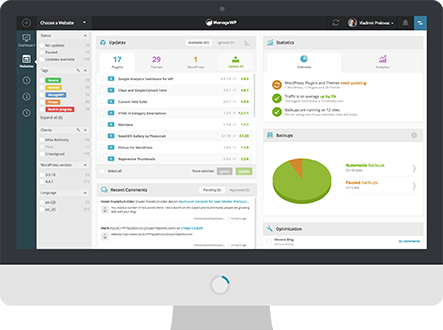 Here you can select what you want ManageWP to notify you about, and how often you would like to be notified. This should prevent you from forgetting any of your important website tasks!